Shonte’ Terhune is an International Board Certified Lactation Consultant, postpartum doula and health educator. Over the past five years, she has worked diligently in Genesee County to increase breastfeeding rates. She has worked in the hospital as a lactation intern and at various pediatric and obstetrician clinics, promoting and educating women about breastfeeding. Normalizing breastfeeding is her passion. 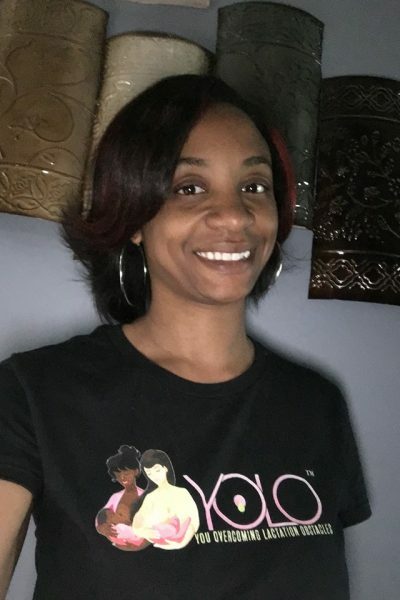 Shonte’ is also the owner of, You Overcome Lactation Obstacles (YOLO) empowers and provides culturally competent, evidence-based breastfeeding support and services to Flint families. With skilled professional support by a Board Certified Lactation Consultant (IBCLC) mothers find solutions and ultimately reach their breastfeeding goals. She is also a member of the Southeast Michigan IBCLC’s of Color.